The light wind weather pattern continues over the islands as a high pressure ridge lies just over and north of the state. 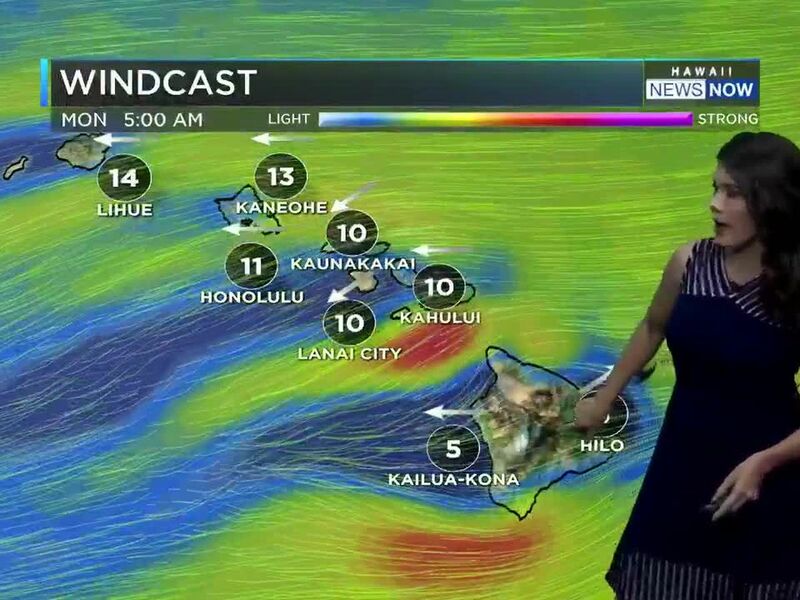 Winds will be lighter for Kauai, Niihau and Oahu, while light east/southeast winds for Maui and the Big Island will bring some lighter showers for the windward areas of those islands. A cold front will increase clouds and showers Friday into Saturday, followed by cooler and drier north-northeast winds. 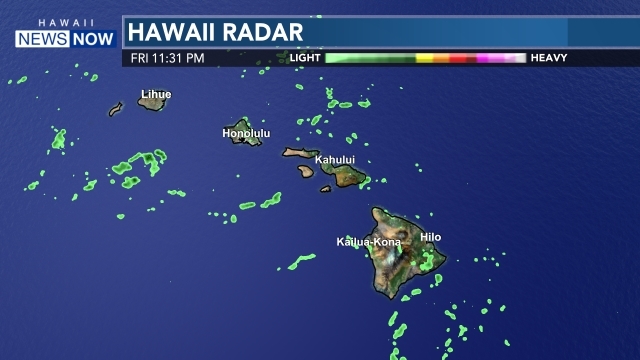 A new northwest swell is arriving, with a high surf warning posted for north and west shores of Kauai and Niihau, and a high surf advisory for north and west shores of Oahu and Molokai, the north shores of Maui and the west shores of the Big Island. 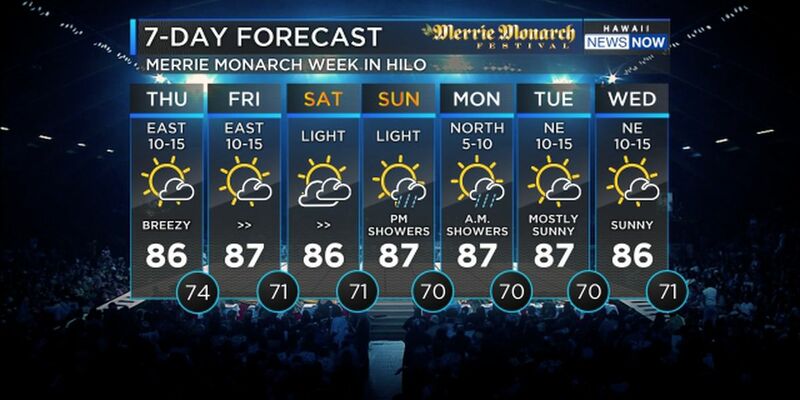 Surf is expected to remain high for those shores for much of the rest of the week. There’s also a small craft advisory for coastal waters around Kauai County and most windward coastal waters around the remaining islands. 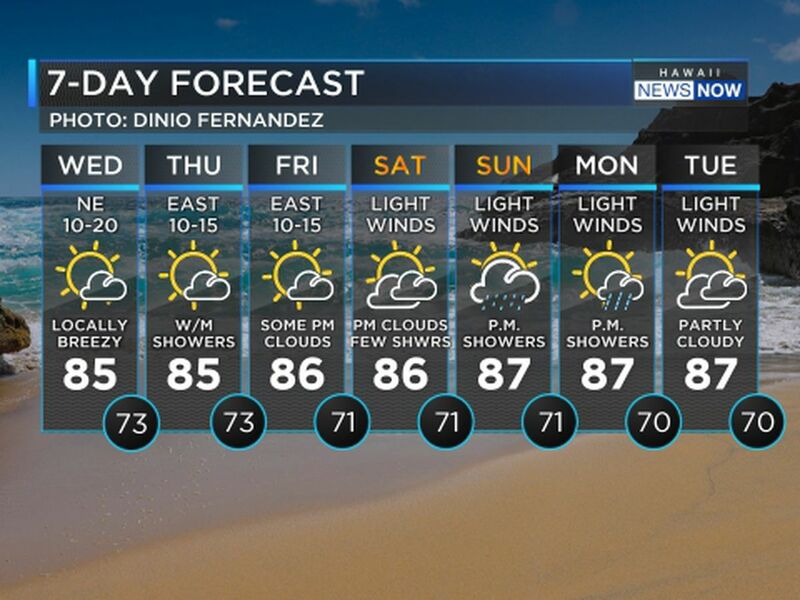 There's a slight chance of thunderstorms by Monday.